(LAND ROVER DISCOVERY 3 2005 - 2009 (V)TO6A999999). LAND ROVER DISCOVERY 4 2010 - 2016 (V)TO6A999999). LAND ROVER RANGE ROVER SPORT 2005 - 2009 (V)TO6A999999). PARTS COLOUR MAY VERY DUE TO MANUFACTURE PRODUCTION. Discovery 3 2.7 Tdv6 models from chassis number 7A. Discovery 4 2.7 Tdv6 models. Discovery 4 3.0 V6 models. Range Rover Sport 2.7 Tdv6 models from chassis number 7A. Land Rover - Discovery / Defender TD5 1998-2016 Fuel Filter Unipart ESR4686. Thread Size. New Land Rover Freelander 2.0 TD4 00-06 Rear Exhaust Silencer Back Box - LR188W.GBP 29.50 View Item. NOTE: THE COMPATIBILITY LIST IS FOR GUIDANCE PURPOSE. Suitable for : all Discovery 2 TD5 engines 1999 - 2004. Kit Contains : 1 xESR4686 Fuel Filter. OE part number: ESR4686. 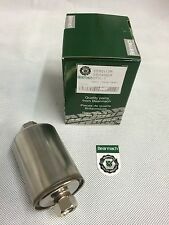 Land Rover TD5 Diesel Fuel Filter. A new diesel fuel filter for all Land Rover Discovery 2 and Defender TD5 models. Wheel Nuts Hi lift jacks & Acc. Tyres Safari Snorkes Defender Parts Discovery Parts Range Rover Parts Wheels Tools Gift Ideas Series Discovery 1 89-93 Discovery 1 94-98 Discovery 2 99-04 Range Rover Classic Range Rover P38 Range Rover l322 Freelander Discovery 3 Defender 90 & 110. AEU2147L Fuel Filter. Part Number: AEU2147L. Suitable for: (200 & 300TDi Only). Defender & Discovery 200/300TDi New Fuel Filter. Defender & Discovery 1, (1994-1998). Defender Parts. Series 2 & 3 - Defender 90/110/130, Discovery 1,2,3,4,5 & Sport - Freelander 1 & 2 - Range Rover Classic, P38, L322, L405, Sport & Evoque. 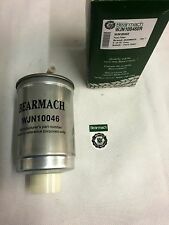 Land Rover Defender 200tdi 300tdi BEARMACH Diesel Fuel Filter - Britpart. Will fit Defender, Discovery and Range Rover models. Manufacturers Part numbers are used for reference purposes only. Any item which has failed will be subject to their inspection. 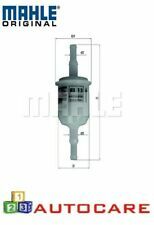 Land Rover - Defender 2.5 TDI 1990-1998 Fuel Filter Unipart RTC5938 AEU2147L. Thread Size. New Land Rover Freelander 2.0 TD4 00-06 Rear Exhaust Silencer Back Box - LR188W.GBP 29.50 View Item. Filter type. Fits all Discovery 3 and Range Rover Sport models from 7A000001 and all Discovery 4 diesel models. WJN000020 Fuel Filter Housing Kit. 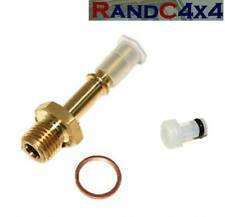 Land Rover Defender TD5 New Fuel Filter Housing Kit. Land Rover Defender TD5, (1998-2004). Defender Parts. Series 2 & 3 - Defender 90/110/130, Discovery 1,2,3,4,5 & Sport - Freelander 1 & 2 - Range Rover Classic, P38, L322, L405, Sport & Evoque. Part number reference only; wjn000080. 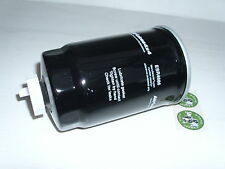 Land Rover Freelander TD4 In-Line fuel filter. Suitable for ALL Land Rover Freelander Td4 vehicles. there are two types of filter, a spin on or this in-line filter. Land Rover Freelander 1 TD4's. Terrain Vehicles LTD is a family run Independent Land Rover and Range Rover specialist garage. TD5 Fuel Filter & Water Sensor. 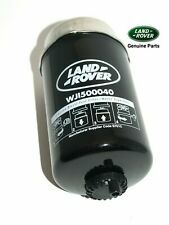 Land Rover Discovery 2 TD5 Fuel Filter & Water Sensor. Suitable for: Discovery 2 TD5, (1998-2004). Land Rover Parts. Discovery Parts. Series 2 & 3 - Defender 90/110/130, Discovery 1,2,3,4,5 & Sport - Freelander 1 & 2 - Range Rover Classic, P38, L322, L405, Sport & Evoque. Fits the Land Rover Defender 90/110 TD5 Fuel Filter Cover (Part Number WKT100020). These are 100% genuine Dzus, made to the highest standards required by aviation, GP & F1. If you see any cheaper kits they are most likely replicas made cheaply in China, don't take the risk! Can be dismantled for cleaning, reusable and much more fitting than a modern plastic disposable unit. 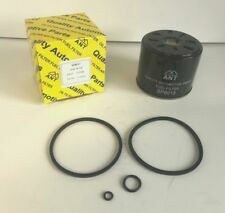 Land Rover Discovery 2 - TD5 Fuel Filter & Water Sensor. Suitable for ALL Land Rover Discovery 2 - Td5 vehicles from 1998 to 2004. Part Number reference only; esr4686/wkw500070. Part number & pictures are used for Identification purposes & reference only - they do not imply the manufactures identity. Part No : WFL100160. Genuine Bearmach High Quality Components known all over the world for high quality parts. L R Parts Ltd is an authorized Bearmach distributor, we specialize in new Land Rover Spares, stainless steel bolt sets for Land Rovers and general maintenance parts. LR009705 TDV6 (2007 ) Fuel Filter. Part Number: LR009705. 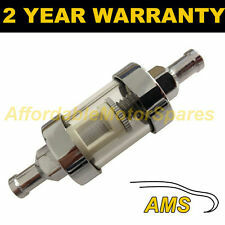 Land Rover 2.7 TDV6 New Fuel Filter. Suitable for: (2.7 TDV6 Engine Only). Land Rover Discovery 3 & 4, (2007-2012). Land Rover Parts. Discovery Parts. Can be dismantled for cleaning, reusable and much more fitting than a modern plastic disposable unit. Many exclusively available here. The fuel arrives in the injection system or in the carburettor via the fuel pump. At worst, this can result in the complete failure of the injection system, bringing the vehicle to a standstill. Wear on the injection system or on the carburettor results in a considerable increase in fuel consumption and in impaired engine performance. Land Rover Freelander Fuel Filter. 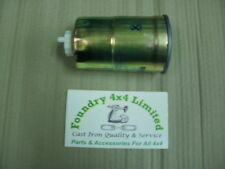 A Land Rover Freelander fuel filter assembly under part number WJN10046 suitable for 2.0 litre TCI E models. A new unit and is still in the original packaging. Part No's : BF285R / RTC6079. A Quality Bearmach. Genuine Bearmach High Quality Components. known all over the world for high quality parts. L R Parts Ltd is an authorized Bearmach distributor, we specialize in new Land Rover Spares, stainless steel bolt sets for Land Rovers and general maintenance parts. COMMON PROBLEM WITH TD5 POOR STARTING AND PREMATURE IN TANK FUEL PUMP FAILURE. 2 YEAR LAND ROVER APPROVED WARRANTY. LAND ROVER DEFENDER. FITS LAND ROVER DEFENDER. DEFENDER, DISCOVERY & FILTERS . FUEL (DIESEL) FILTER. DIESEL FILTER. FILTER D'ESSENCE ALCO PART NO : N/A. COOPER PART NO : FP 5916. Part Number reference only; NRC9708. Suitable for ALL Land Rover Discovery 1 vehicles from 1989 to 1998. ALL Land Rover Defender 90 / 110 / 130 vehicles upto 2006. ALL Range Rover Classic vehicles upto 1994. Part Number: WKW500070. TD5 Fuel Filter Water Sensor. Land Rover Discovery 2 TD5 Fuel Filter Water Sensor. Suitable for: Discovery 2 TD5 Models. Land Rover Parts. Discovery Parts. Series 2 & 3 - Defender 90/110/130, Discovery 1,2,3,4,5 & Sport - Freelander 1 & 2 - Range Rover Classic, P38, L322, L405, Sport & Evoque.